Boston Public Library is going beyond books and getting fancy! 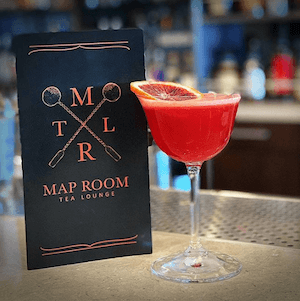 On Wednesday, The BPL at Copley will open the Map Room Tea Lounge and will be serving up high tea with the addition of tea-inspired cocktails. Enjoy a Tequila Mockingbird, made with blood orange hibiscus tea-infused tequila. Or how about the Catcher in the Rye, made with apple berry tea-infused rye? Can you spot a theme here? All cocktails have literary inspired names. The Map Room will also serve cheese and charcuterie and other snacks that go perfect with cocktails. You can check out the menu here!